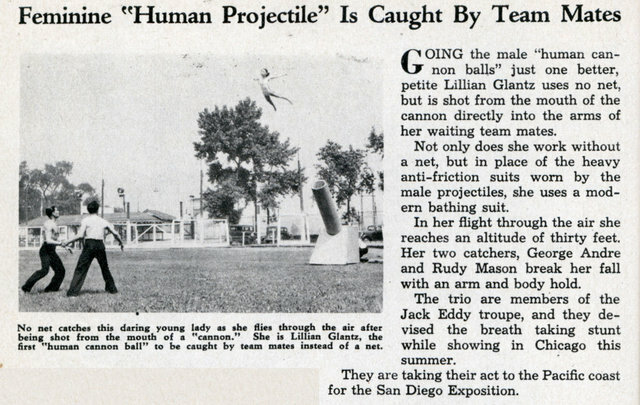 GOING the male ”human cannon balls” just one better, petite Lillian Glantz uses no net, but is shot from the mouth of the cannon directly into the arms of her waiting team mates. Not only does she work without a net, but in place of the heavy anti-friction suits worn by the male projectiles, she uses a modern bathing suit. 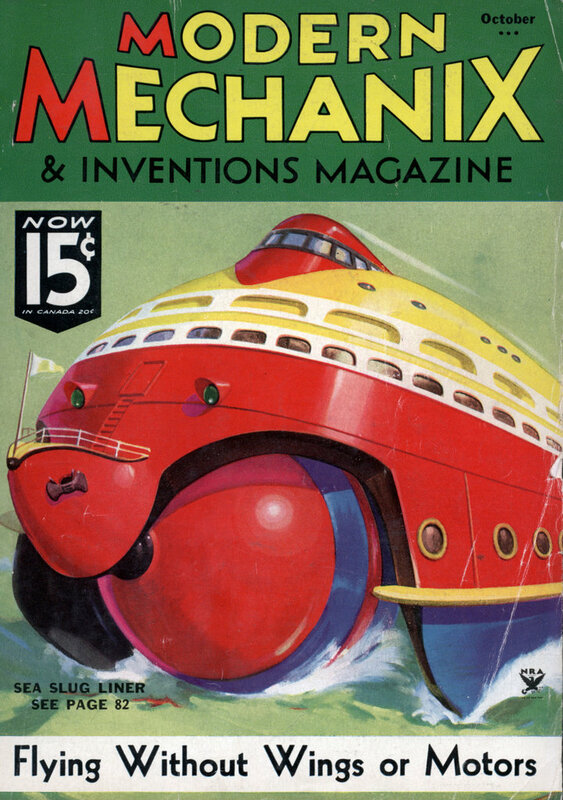 In her flight through the air she reaches an altitude of thirty feet. Her two catchers, George Andre and Rudy Mason break her fall with an arm and body hold. The trio are members of the Jack Eddy troupe, and they devised the breath taking stunt while showing in Chicago this summer. They are taking their act to the Pacific coast for the San Diego Exposition. This Is My Grandmother!! What An Amazing Lady! !